Texas Hold'em is one of the most popular poker games with fans all over the world. 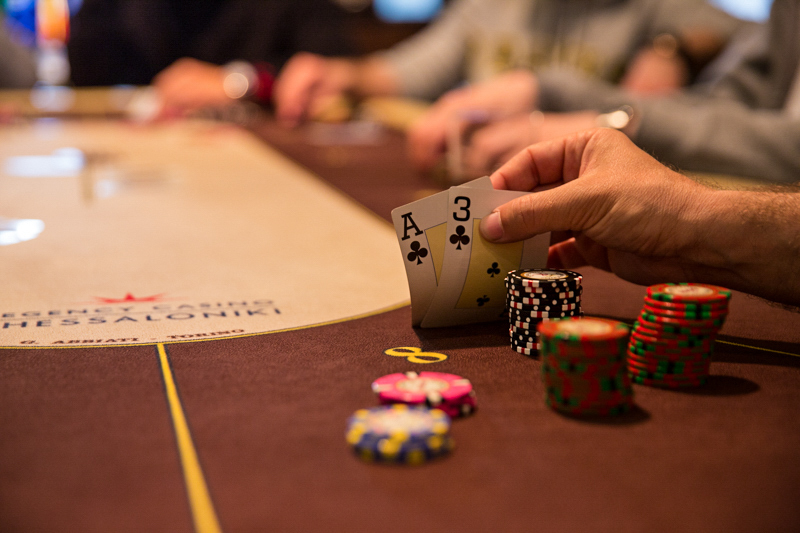 The goal for each player is to win the pot (which is the sum of the bets placed by all the players) by having the best hand in the end, or by staying in the game if the other players have folded. The game is played with a 52-card deck and at a table with seats for up to ten players. At the table, a special chip (the button) is used to represent the dealer and show the order by which the various actions are performed. The game starts by placing the blind bets. The first player to the left of the button posts the small blind and the person next to them the big blind. Then the first two cards are dealt (face down), with the player sitting left of the big blind betting first and the betting continuing clockwise. 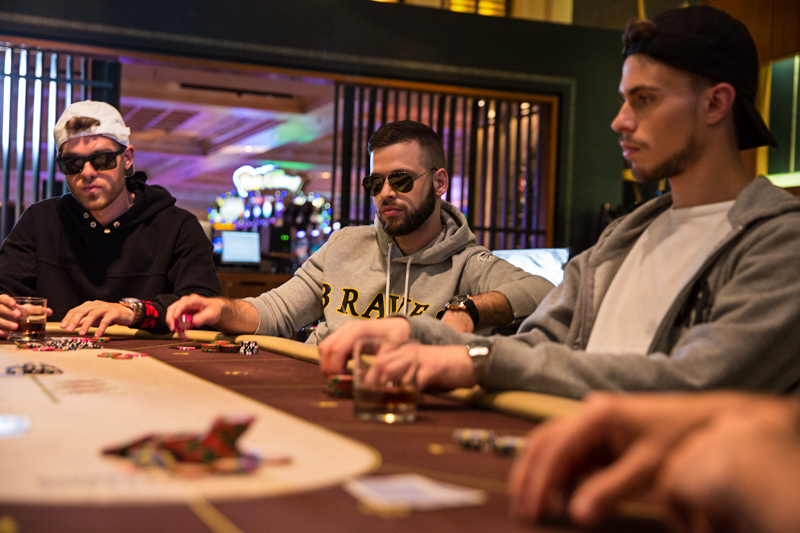 The betting round is completed when all of the players have either folded or matched the bets placed by the remaining active players or betted away all of their chips. 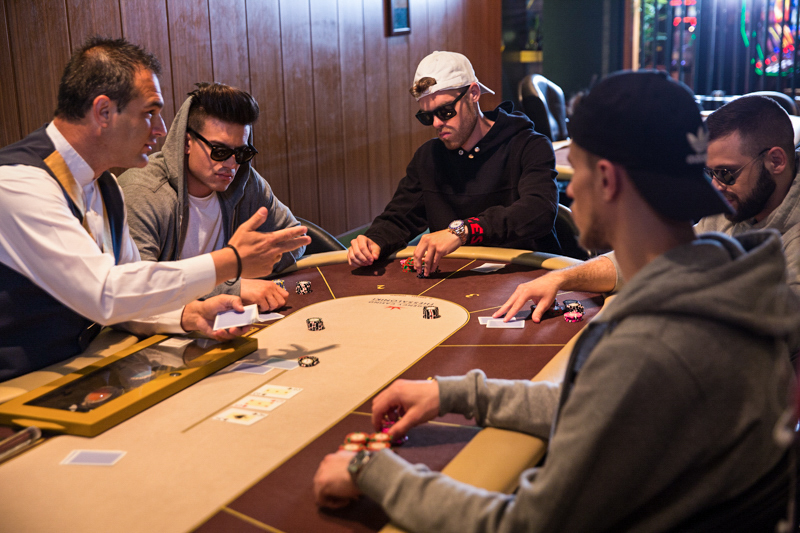 After the first betting round and provided that at least two players are still taking part in the hand, the dealer deals the flop, three face-up cards in the middle of the table. These cards are common for all players (community cards). The flop is followed by another betting round. In this and all of the next rounds, betting begins with the player sitting on the left of button and continues clockwise. After the end of the flop betting round, the turn is dealt (the fourth community card), which is followed by the third betting round. Finally, the river (the fifth community card) is dealt, followed by the fourth and last betting round. At this point, betting is complete and, if necessary, the players reveal the hole cards they have been dealt, in what is called the showdown. The best combination of five cards, always based on the value of the cards, wins the pot. There is a total of up to four betting rounds to each game. You can combine the five cards you need for your hand in the following ways: the two cards in your hands plus three of the cards found on the table, or one of your two cards plus four of the community cards on the table, or even only the five community cards and none of your own. Only the five cards with form the best possible hand are used. In each betting round the players have one of the following options. When someone has not decided whether to place a bet, he "checks" and hands his turn over to the next player for the game to continue. This way, they remain in the game as an active player until one of the other players chooses to place a bet on the table, at which point they must decide whether to place a bet as well or fold. A player may choose to check only if they are not required to match a bet. When another player has placed a bet, "call" means that you match their bet and stay in the game. When a player chooses to leave the game, they "fold" and do not "match" the bet. Used when you want to start betting or raise the bet of another player by challenging them with a higher bet. Texas Hold'em is played on a No Limit basis, that is with a no limit betting form. The highest ranking hand. It contains the cards 10-J-Q-K and Α of the same suit. Four cards of the same rank and any other fifth card. Higher ranking cards defeat lower ranking cards, e.g. a four-of-a-kind with sixes is better than a four-of-a-kind with threes. A combination of three matching cards of one rank and two matching cards of another rank. It is called Queens Full if the same ranking cards are Queens, Nines Full if they are nines etc. The hand with the higher ranking three cards wins. A hand with five cards of the same suit. When comparing two flush hands, the hand with the highest ranking card wins (the highest ranking card is the ace). If the highest ranking card is the same for both hands, the second highest ranking cards are compared etc. A hand that contains five cards of sequential rank in at least two different suits. When comparing two straights, the one with the highest ranking card wins (the highest ranking straight is 10-J-Q-K-Α and the lowest one is Α-2-3-4-5). A hand that contains three cards of the same rank, plus two cards which are not of this rank nor the same as each other. A hand that contains two cards of the same rank, plus two cards of another rank (that match each other but not the first pair), plus any card not of either rank (e.g. two 8s and two 7s) plus any other card. The highest pair wins. If two players have the same top pair, the second pair of each hand is compared and determines the winner. For example, Q-Q-10-10 is better than Q-Q-7-7. A hand that contains two cards of one rank, plus three cards which are not of this rank nor the same as each other. When comparing two hands with the same pair, the non-paired cards are compared in descending order to determine the winner. Five cards not meeting any of the above requirements. The hand with the highest ranking card (A, K, Q being the highest and 4, 3, 2 being the lowest) wins. When comparing two hands with the same highest ranking card, then the next highest-ranking card from each hand is compared, and so on until a difference is found. A game with five community cards, in which players are dealt four hole cards (face down) to use them with the community cards and make their best hand. Players have to use two of their four hole cards, no more and no less, together with three of the community cards in order to form the make their best hand. The rules as well as the betting rounds in Omaha are exactly the same as in Texas Hold'em. However, betting in Omaha is different than Texas Hold'em and it is called the Pot Limit.